If the 1970s was the decade of the live album, then there was some reluctance to issue them in the 1980s although numbers have been boosted by archive releases. Another set of videos from Pete Pardo from the Sea of Tranquility website, this time looking at the hard rock band Thin Lizzy. A fantastic band in the 70s and 80s and of course they have produced one of the greatest live albums ever released in Live And Dangerous. Two other live albums, UK Tour 1975 and Life Live also deserve plenty of attention and go backwards and forwards in time from L&D. I’ve been sharing videos by Pete Pardo from the Sea of Tranquility website. Pete loves hard rock, heavy metal and prog rock and he’s very keen on UFO. This is a band who should have had much more success in the 1970s than they did. Of course, they have recorded one of the all time classic live albums in the form of Strangers in the Night. Here is what Pete thinks. More videos from Pete Pardo of the Sea of Tranquility website. This time he looks at American hard rock band, Blue Oyster Cult. This is a band who produced an excellent live album early in their career called On Your Feet or On Your Knees. They followed it up with two more very good live albums after their commercial breakthrough with Some Enchanted Evening and Extraterrestrial Live. The History of Blue Oyster Cult! Pete Pardo (from the Sea of Tranquility website) loves Black Sabbath. They are one of his favourite bands. I’m not convinced the Ozzy Osbourne period produced a classic live album but the Ronnie James Dio era in the early 1980s gave the world Live Evil. I found some excellent videos on YouTube by a guy called Pete Pardo from a website called the Sea of Tranquility. On this page are videos of him talking about Uriah Heep. Heep were never the most fashionable of band. In fact, the critics hated them and I never understood why. Musically varied, good tunes and David Byron was a fantastic singer. But I liked them. I saw them at the Reading Festival, possibly in 1978. That’s after the classic David Byron era but there were a fine band and made me forget about the drizzle and the mud. Probably their best known live album is from 1973, Uriah Heep Live, recorded in Birmingham. 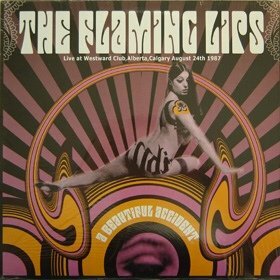 A Beautiful Accident: Live at Westward Club – Alberta, Calgary August 24th 1987 is a vinyl only live recording by The Flaming Lips. It was released on Future Fun Music licensed from Global Music and Discogs has this recorded as an unofficial album. 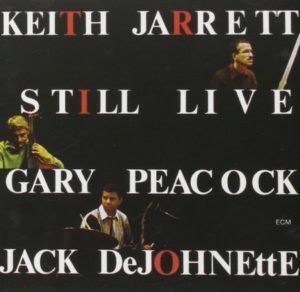 Still Live is a live album by Keith Jarrett. 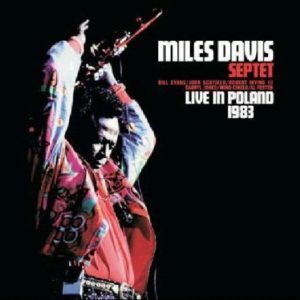 It was recorded at the Philharmonic Hall, Munich in Germany on July 13, 1986. 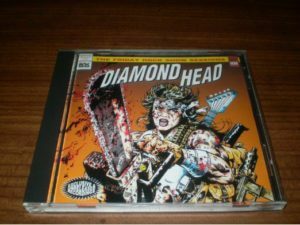 Friday Rock Show Session is a live album by Diamond Head. Live in the studio for the BBC in 1980 and broadcast on the Friday Rock Show. Live in concert at the Reading Festival in 1982.